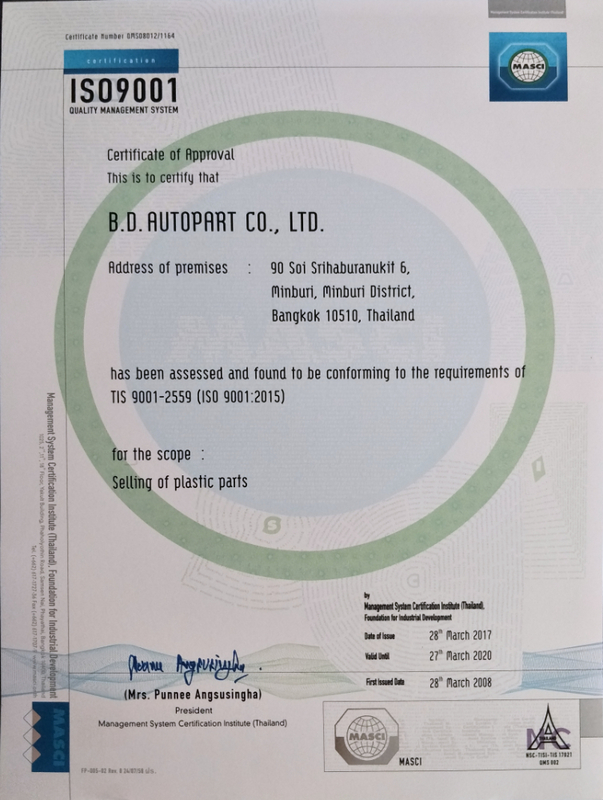 B.D.Autopart Co.,Ltd established date 27 August 2001 have authorized capital one million baths. Factory be locate 99/177 Moo 13 Srihaburanukit Rd., Minburi Bangkok 10510 Thailand, manage manufacture parts plastic pursue to the customer’s order more than seven years ago. We realize in produce parts pursue to the customer’s requirement be must manage customer’s regulation by must adjust continuously of procedure for add customer’s contentment. For policy an abovementioned we just manage as follows. 1. Provide parts plastic have quality pursue to the customer’s regulation. 2. On time delivery to customer. 3. Adjust continuously for customer’s contentment. 4. 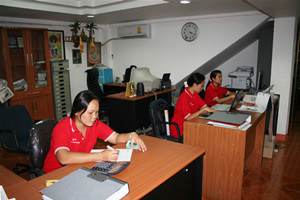 Co- operate with supplier an efficiently, best relation for confidently parts made to order has regulation quality. Quality policy is broadcast to workers in organization for them understand to perform and preserve always.